Microsoft delayed the launch of their new web browser Internet Explorer 8.0 and said that in the first quarter of the next year they will first release its newer update version after the beta and beta 2 release which is generally called “release candidate”. 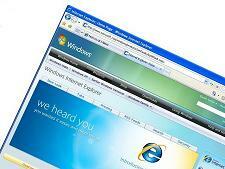 Microsoft IE8 RC1 is expected to hit the market in the first three months of year 2009. Microsoft General Manager Dean Hachamovitch wrote on his blog that they want people and web surfers to know that how much Microsoft had worked on IE8 to make it a better web browser for them. Microsoft included the feature of private browsing in their new version just like the Google Chrome’s Incognito feature. With addition to it the best part I liked in the IE8 was the right click ADD-ON feature. You can select the text on the website and directly search it using the right click option or you can directly put that text on your blog.